Search engine optimization remains arguably the most popular and effective passive/organic method for reaching large numbers of people. By targeting audiences that are relevant to your brand’s offerings, you can quickly amass a following of subscribers, customers or visitors who care about what you do and provide. Ultimately, the nature of SEO is often discussed in one-size-fits-all terms, and those terms usually apply to how the biggest search engine – Google – views SEO efforts. However, some aspects of SEO across search engines are actually different: today, we’ll talk about how those differences between Google and Bing can affect your efforts. It can quite easily be argued that Google is ahead of the curve on the usage of keywords in content: specifically, how they validate and/or penalize websites for their usage. While Google penalizes websites that are pinging users with an excessive number of keywords and phrases, Bing’s guidelines actually state that keywords should be utilized as often as possible. This effectively means that keyword stuffing may still provide some inherent value in search results on Bing when compared to Google. However, for brands targeting both search engines, it is hard to justify using this tactic given the massive market share Google enjoys when compared to Bing. Backlinks still remain as one of the most valuable metrics a website can enjoy in terms of measuring authenticity and authority. With Google, its algorithms have been tailored to measure a variety of different metrics that effectively assign value to each domain based on the composition of backlinks. With Bing, however, links are assessed more so on the inherent authority and age of the domains from which they’re earned. While not 100% absolute, earning notable big-name links will give you greater influence with Bing, whereas Google looks at both the quantity of links and the interwoven nature of links pointing to the sites that are pointing back to you. As social media continues to become a more powerful force in daily life, search engines are grappling with how to handle the content created and shared on these platforms. In the case of Google, social signals at best only provide indirect benefit to SEO: while social media content can be featured in Google SERPs, it won’t inherently increase your PageRank or overall likelihood of a particular website ranking highly. With Bing, the search engine admits that social signals play a prominent role in how websites are ranked in its results. This means that brands that maintain a consistent social media presence are more likely to rank well in Bing than they are in Google – at least in an apples to apples comparison. Combined, Google and Bing control practically all of the English search engine market. 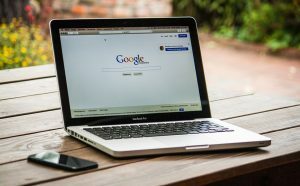 While Google still dwarfs Bing in terms of size, both platforms are highly useful for pinging users with your content. While it can be difficult to truly master SEO across both entities, each offers unique benefits in ranking and assessing content. As such, it is wise for brands to target both search engines wherever possible.